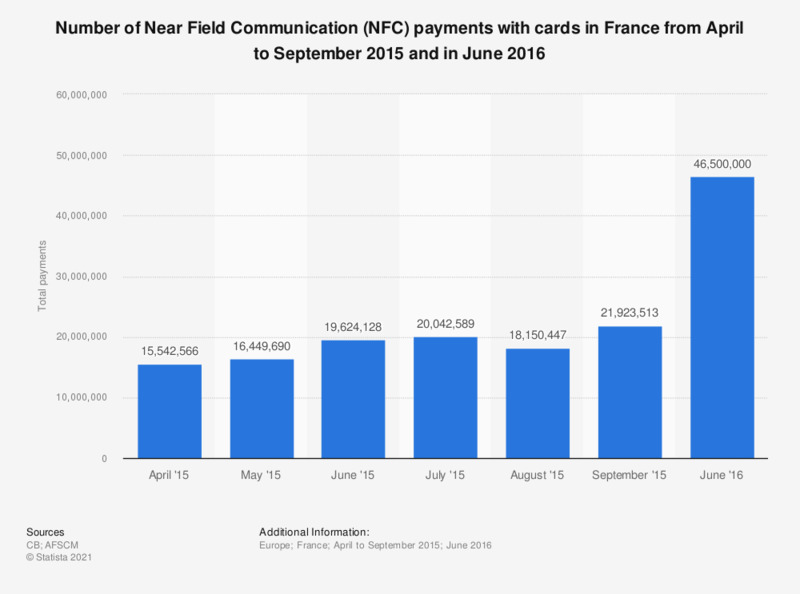 This statistic shows the number of Near Field Communication (NFC) payments by cards in France from April to September 2015 and in June 2016. In 2016, approximately 22 million NFC payments were made in France using debit cards. Data for the months of February 2015 to August 2015 are available in the" Archives "section of the Observatoire du Center NFC and contactless devices ."